Sadly I was defeated by the original prompt from the NaPoWriMo website but I was inspired by a lyric prompt from an All Poetry Competition. Choose “at least” 10 song titles , and work them into a romantic love poem of your own making. Can be “Happy or Sad”. “Rhyme is preferred” and will count when judging. It has to make sense, in “10 lines Minimum…20 lines Maximum”. I recently learned that I won a Silver Award for this poem see all the winners by clicking HERE. Some great entries. Click the image to enlarge (opens in a new window) The song list from which I chose is posted below. Original Prompt:- begin with a photograph this is a good selection but I like Pixabay. Now find a poem in a language you don’t know (here’s a good place to look!) Ignore any accompanying English translation (maybe cover it up, or cut-and-paste the original into a new document). Now start translating the poem into English, with the idea that the poem is actually “about” your photograph. Use the look and feel of the words in the original to guide you along as you write, while trying to describe your photograph. It will be a bit of a balancing act, but hopefully it will lead to new and beautiful (and possibly very weird) places. Click HERE to see the daily prompts. The image is actually listed as autumn girl in the forest but when I first saw this and being in black and white it made me think of early spring. Thank you for dropping by if you like to write poetry why not try the lyric prompt love to see what you come up with. Whilst researching for several of my books, I came across some beautiful poems, several I used within the books themselves. 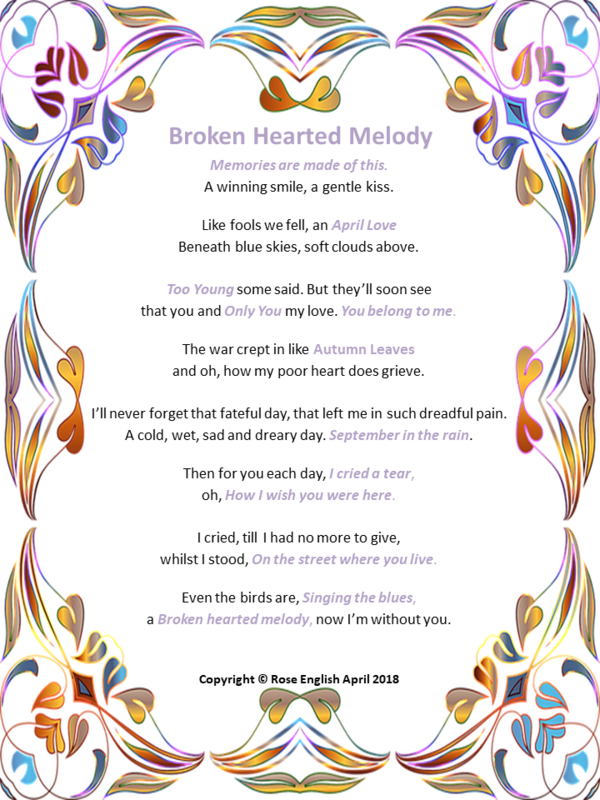 I thought it would be nice to share some of those findings here and perhaps in a regular blog feature ‘Floral Poetry & Prose’. The majority of the poems are from a book I discovered that was printed in 1800 ‘The Poetry of Flowers’ by Mrs Kirtland. Watching below the angry flood. Half-buried in the drifted snow. Not heeding how the wind did blow. Was looking at the snow and sleet. Her warm breath caught the falling snow. Hope, smiling, saw the blossom fall. And be the herald of the flowers. All summer long it shall remain. O’er every hill, and wood, and plain. ‘Twill cheer me many a lonely hour. Those who would sink, raised by that flower. And many a weary heart shall sing. The Snowdrop bringeth Hope and Spring. ‘The Snowdrop’ is one of my most favourite poems, I have been unable to find out the poet, as in the book there is no name listed against it. However, I do know that it is a story from folklore of two sisters Hope & Spring. The first being sad that winter is upon them and the second to cheer up her sister, breaths life into a tiny snowflake creating the snowdrop that brings joy to the other that lasts well into summer time.